Looking for unique gift items for your friends and family this holiday season? 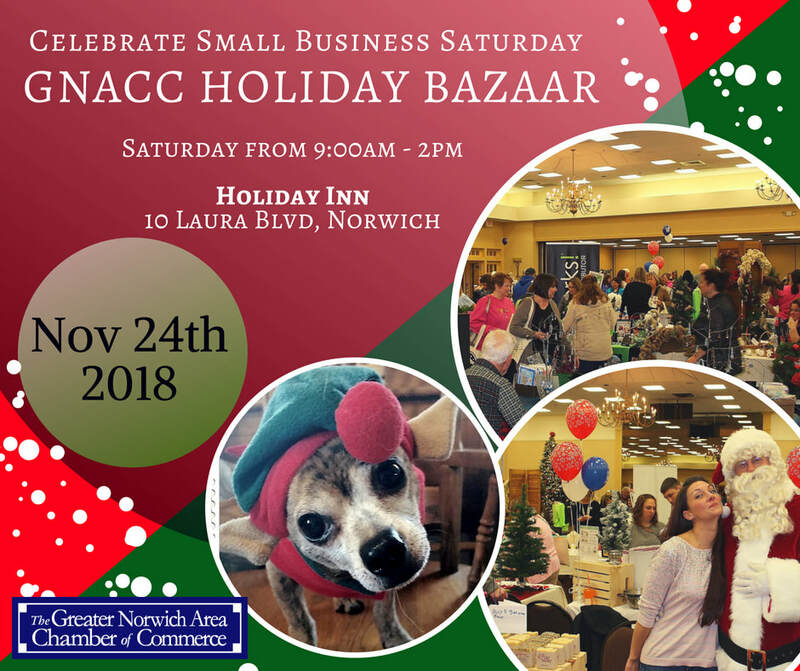 Then mark your calendar for the annual GNACC Holiday Bazaar. Support Small Business Saturday. You’ll be supporting your community by shopping​ local, and finding great one of kind gifts made by artists and artisans right here in Eastern Connecticut. VISIT AND PHOTOS WITH SANTA and his favorite Elf!!! Every entry includes raffle for some terrific giveaways!! ATTENTION ARTISTS, ARTISANS, VENDORS, and CRAFTERS!! Online Registration is Closed. To be put on our waiting list, Please call the office (860) 887-1647. Showcase your one of a kind items to eager holiday shoppers while raising awareness of the importance of keeping it local! Space is limited and the event is first come first serve, so call the chamber of commerce today to reserve your spot at (860) 887-1647 or visit www.norwichchamber.com. …be set up by 8:30am with breakdown by 2:30pm. …have merchandise for purchase available at the event. …have a representative at their table at all times during the event. …be solely responsible for any insurances, licenses, sales tax, and other lawful business requirements. …be solely responsible for collecting payments on goods and services. Cost: Crafters: $25 / Chamber Member Vendors: $25 | Not Yet-Member Vendors : $40 / (Spaces are limited) | Space Includes: 6 Foot skirted table and 2 Chairs. Have Questions? 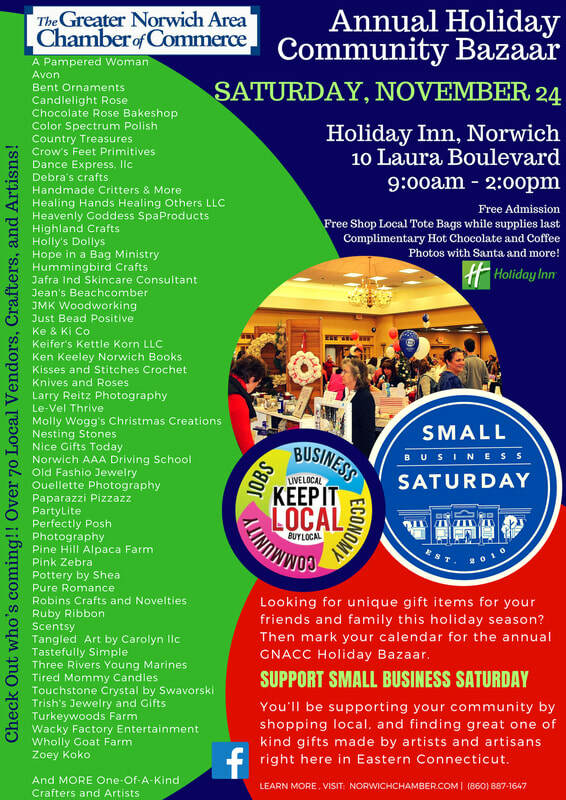 – Contact : GNACC Office at (860) 887-1647 or email angelaadams@norwichchamber.com.